I finished off another batch of Mexican casualties. I took a couple of pix with the newly painted Texans and a single photo of the Mexicans by themselves. Once again these figures are all my original sculpts cast in resin and hand painted. I'm going to need a bunch of Texan casualties, before I'm finished with this project. So cool. I like the guy holding his eyes, "arrrrgggghhhh"
Will these figures be available for sale? Are they already? Sorry, but I don't seem to know how to find them otherwise. And if they're not for sale, Shame On You! You TEASE! Sorry, TVAG. All of the figures that I've shown are one of a kinds. They were made from sculpts that I privately commissioned, back in the late '80's. After all these years, I finally found a caster, who was able to produce the figures in resin. Each one is hand poured, cleaned, assembled, primed and finally, painted. So, you can see why it's not feasible to mass produce them for sale. I wanted these to augment my Marx Alamo collection. 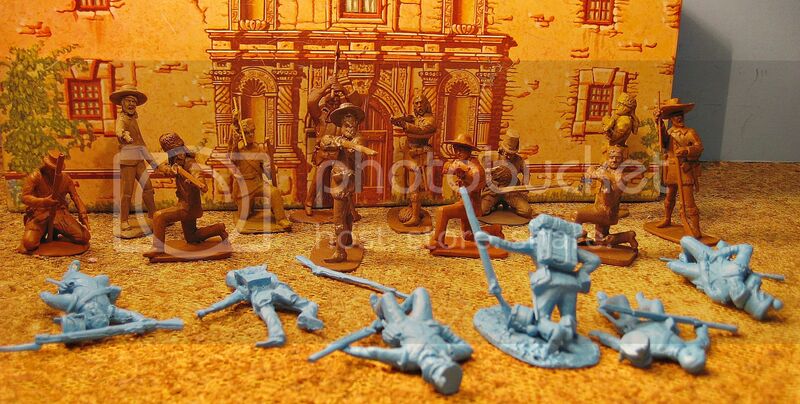 Now I have Mexican Regulars in dozens of poses. Artillery teams, Ladder Teams, Cavalry, Militia/Conscripts, New Orleans Grays, Texicans and Tennesseans. 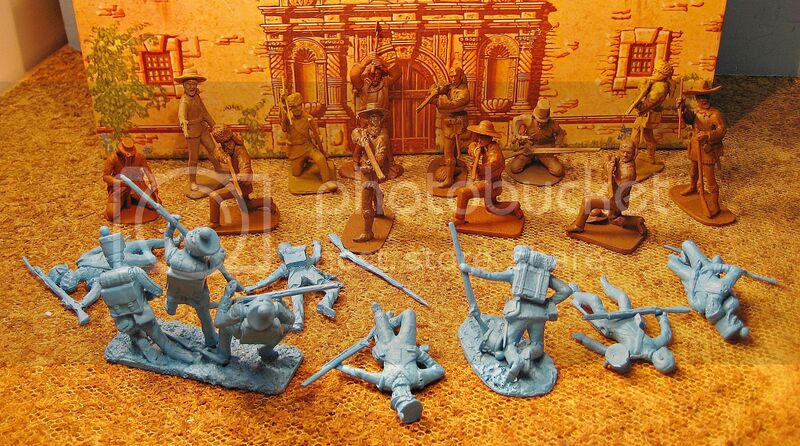 And lots of dead/wounded in action figures. I just finished the Artillery team and the N.O.Grays. Check for a new post and look through my previous ones for more pix.